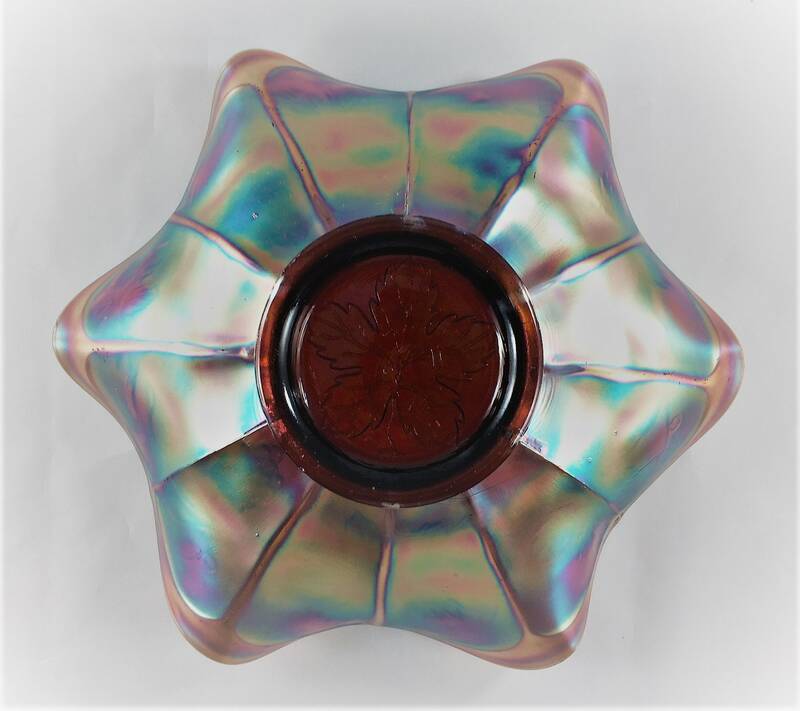 Featured is a wonderful piece of Classic Carnival Glass from Fenton. 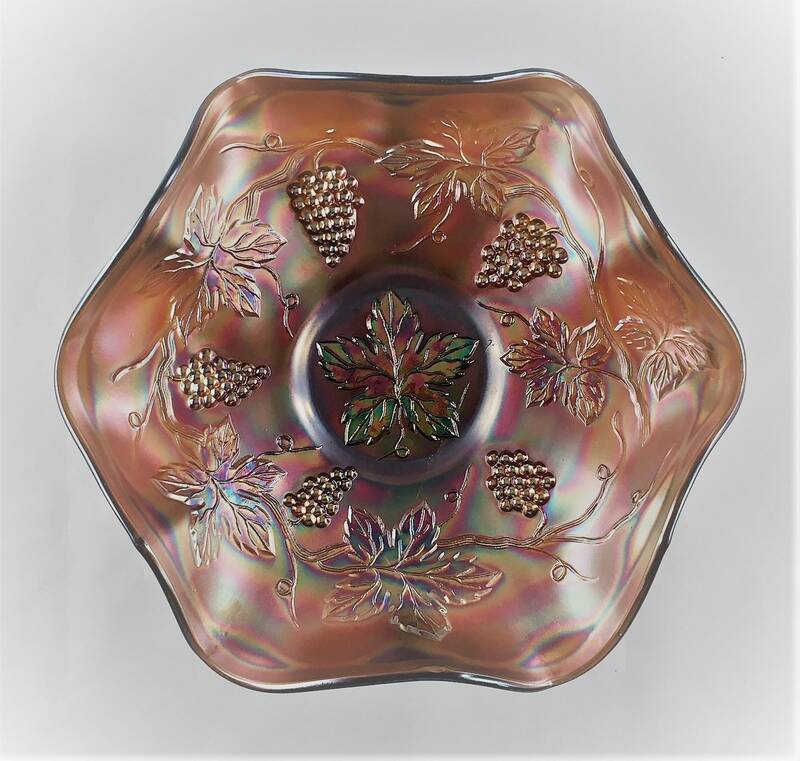 This 8 inch bowl is part of their "Vintage Amethyst" pattern that went into production in 1907. 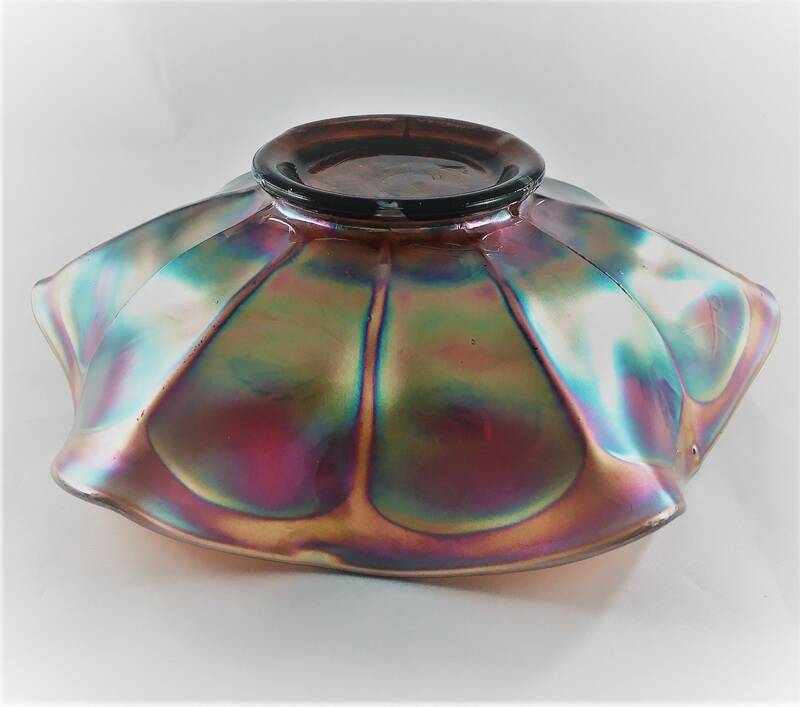 This beautiful iridescent piece measures about 8 inches in diameter, 2 1/2 inches tall, and has a collar that's about 3 1/8 inches in diameter. 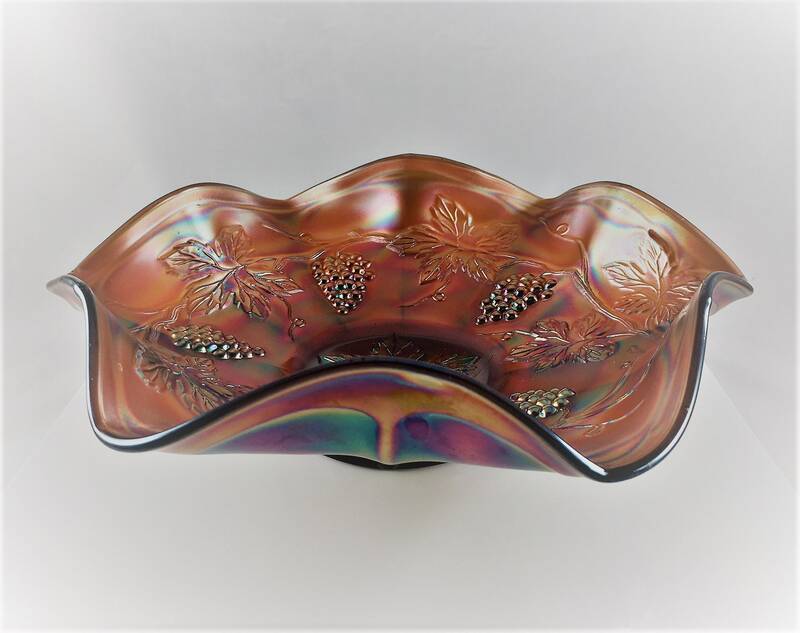 It has an awesome maple leaf in the center and 5 clusters of grapes and more leaves around the bowl's interior. This bowl is in excellent condition, free from any chips or cracks.